Wearing a correctly fitting bra or getting your nails done is something many women take for granted. 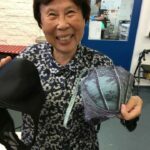 Yesterday amazing teamwork between the m.a.d.woman Foundation, Intimo Lingerie #IntimoDiamonds and the Brotherhood of St Laurence made that a reality for more than 30 Melbourne women. 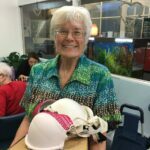 At a special afternoon tea, each woman was given a professional bra fitting, four bras in their correct sizing and a care pack filled with a variety of gifts, toiletries and cosmetics. 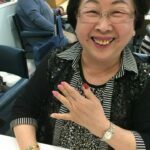 They also had their nails painted – several for the first time in years (which was quite a moving experience for one woman). The women are part of the Coolibah program and Sumner House at the Brotherhood of St Laurence. The event was such an incredibly uplifting (literally!) experience and the joy, feedback and gratitude of the women involved was so heartwarming. We left an additional 30 Care packs for women who couldn’t make it to the event. A huge thank you to Jodie for all your hard work in helping us bring this together. Special thanks to Regan and Anita for joining Jodie in performing the bra fittings, to Intimo volunteers Karina and Claudia for creating beautiful nails, to Marica, Bola, Ellen, Lydia and Michelle from the Brotherhood fit everything you did to help make this event a huge success. 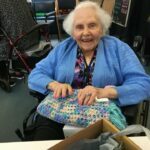 We absolutely love supporting our friends at the Brotherhood and will be distributing Christmas care packs again this year too. If you’d like to show support, please be in touch.